In reality, the feeling of your heart skipping a beat is a little more frightening and, potentially, a lot more serious. Your heart skipping a beat is known as a heart palpitation, and a repeated disruption of its rhythmic beat can turn into an arrhythmia – a potentially serious condition. Have you ever felt your heartbeat flutter or pause? Premature contractions: Occur when the upper chambers of the heart (the atria) contract sooner than they should. This causes the entire cardiovascular system to lose its rhythm, which is needed to pump blood efficiently out of the heart. While most premature beats are considered benign and non-life-threatening, some causes may lead to unwanted side effects. Atrial fibrillation: An irregular and often rapid contraction of the upper heart chambers. A potentially serious condition that should be looked at by a doctor. Supraventricular tachycardia: Refers to the atria, as they are located superiorly to the ventricles. This condition causes the heart to beat faster than normal and should be looked at by a doctor. Pacemaker abnormalities: The sinus node of the heart functions as its pacemaker, ensuring that heartbeats occur in a regular and timely fashion. However, there are instances where the sinus node may lose its ability to do its job, eventually leading to heart palpitations. The answer may be linked to your dietary habits, medications, or stress rather than love. 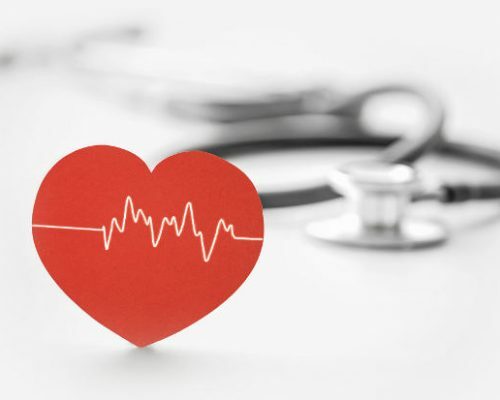 Read on to learn some of the most common causes of a skipped heartbeat. 1. Alcohol: Alcohol can lower your blood pressure, meaning your heart has to work harder to ensure that the blood circulating in your body gets to where it needs to go. Consuming large amounts of alcohol at a time, or binge drinking, can cause your heart’s rhythm to falter and result in a skipped beat, as can a small amount for someone who drinks regularly. 3. Stress: Anxiety and stress can cause your heart to flutter, as your body reacts to stressors with the fight-or-flight response. Similarly, a sudden devastating event, like the loss of a loved one, can trigger something known as broken heart syndrome, a condition in which the sufferer may feel as though they are having a heart attack and their heart is skipping beats. 4. Acid reflux: Because the esophagus is located close to the heart, those who suffer from acid reflux may develop heart palpitations that occur after a meal or when you are laying down. 5. Dehydration: Dehydration can lower your blood pressure and cause electrolyte imbalances. As a result, the heart has to work harder, feeling as though it has skipped a beat. 6. Medications: Stimulant medications like those used to treat ADHD and depression can sometimes cause heart palpitations that feel like skipped beats. Similarly, some smokers have reported feeling disruptions in their heartbeat rhythms due to the effects of the stimulant nicotine. 7. Overeating: Consuming too large of a meal can stretch the stomach and cause your heart to flutter as it works to send blood to the stomach tissue to aid in digestion. These palpitations may feel like your heart is skipping a beat, though it is temporary. 8. Mineral deficiency: Essential minerals, such as magnesium and potassium, play an important role in your heart health as well as ensure that other functions in the body perform as they should. Potassium, for instance, is an important electrolyte for your cells, tissues, organs, and the hearts electrical system. 9. Exercise: While exercise is also a great option for getting and staying fit, working out too hard can put added stress on your heart. When you work out at high intensities, your heart rate and blood pressure will rise, increasing the chance a premature heartbeat may pop up. 10. Hormones: Hormones play an important role in nearly all bodily processes, including your heart muscles. Pregnancy, menopause, and thyroid issues can cause fluctuation in hormone levels, leading to the development of extra heartbeats. While most of these causes are not dangerous, they can be a source of anxiety and distress until hormones have become rebalanced. 11. Sleep: Getting a good night’s sleep not only helps us awake and refreshed, but also decreased undue stress on the heart. Having poor quality sleep increases stress hormone in the body that can trigger the formation of extra heartbeats. To combat this, getting the recommended seven to eight hours of sleep each night and skipping alcoholic beverages before bed will allow your body to benefit from a full night’s rest. Some of the most common reasons your heart skips a beat are tied to your dietary habits, stress, and medications, so as long as these palpitations are temporary and infrequent, there is most likely nothing to be worried about. However, if you experience these flutters in conjunction with other symptoms, like chest pain and/or dizziness, contact your doctor as they may be indicative of a more serious condition. Performing relaxation techniques: Stress is a significant contributing factor to heart palpitations, and so finding ways to reduce stress can help prevent and manage heart palpitations. This involves mediation, deep breathing, journaling, yoga, spending time outdoors, exercising, taking short breaks from what you are doing, and using guided imagery to calm yourself down. Reducing or eliminating the stimulant: There are certain stimulants that can increase heart rate, so eliminating or reducing these can help prevent heart palpitations. These common stimulants include tobacco, illicit drugs, coffee and caffeinated foods and beverages, alcohol, appetite suppressants, marijuana, some mental health drugs, some high blood pressure medications, and some cold and flu medications. Remember never to stop taking a prescribed medication unless otherwise advised. Stimulate the vagus nerve: The vagus nerve connects the heart and the brain and stimulating it can help calm palpitations. You can stimulate it by holding your breath and pushing down as if you were having a bowel movement, coughing, placing a cold or damp cloth on your face, gagging, splashing cold water on your face, chanting “om,” or taking a cold shower. Keep your electrolytes balanced: Electrolytes help transfer electrical signals in the body. When they become imbalanced, it can trigger heart palpitations. Eating foods that contain sodium, potassium, calcium, and magnesium can help balance electrolytes. Good foods to balance electrolytes include potatoes, avocados, spinach, and bananas. Dairy and dark leafy greens are other good foods to maintain balanced electrolytes. Keep hydrated: Being dehydrated causes the heart to work harder to pump blood throughout the body, this is why it’s so important to stay well hydrated. Signs of dehydration include dark urine, heart rate increases, dry mouth, feeling thirsty, headaches, feeling dizzy, and having dry or pruny skin. Avoid excess alcohol: Alcohol is a depressant which can increase heart rate. As little as one alcoholic beverage is enough to cause heart palpitations. Drink in moderation, and for every alcoholic beverage, follow it up with water. Exercise regularly: Exercise can improve cardiovascular health, making your heart work more efficiently along with helping to reduce stress and anxiety. Benefits include walking, jogging, running, biking, and swimming. Integrating these prevention tips into your daily life can help you reduce the risk of heart palpitations.